The Mini Mamba gear bag is a great addition alongside it's larger siblings. This 3 Litre bag is handy to keep all of your valuable climbing devices in, keeping them from tangling up and getting knocked about with the rest of your gear. 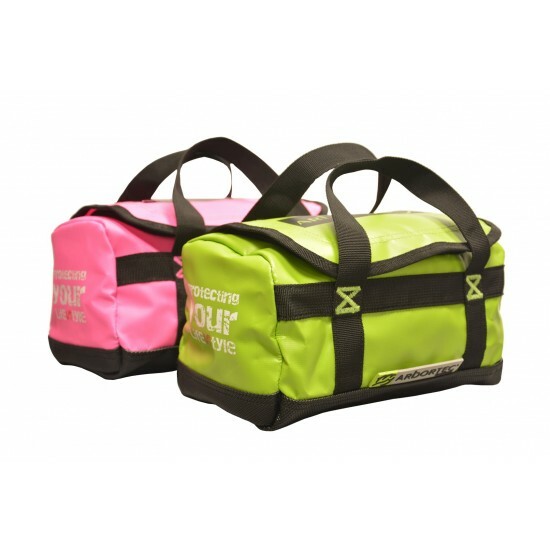 A zippered lid keeps everything safe in this 25 x 14 x 13cm bag, which comes in two colours, lime and pink. The handsome contrast stitching and branding adds a nice touch along with 100% waterproof material. Overall a great bag for organising the chaos which will spare up some extra time when out on the job in all weather scenarios.